The new issue of Britain’s best-selling outdoors magazine is dedicated to one of the world’s most beautiful countries – that packs a continent’s-worth of walking into 30,981 enthralling square miles. It’s big, beautiful and you're free to roam it – a freedom which in itself can be intimidating. Where do you walk in a country where only a fraction of the paths are marked on the maps? Yet it would be a tragedy if you missed out on this magnificent country for want of a friendly, expert guide to make sense of it all. 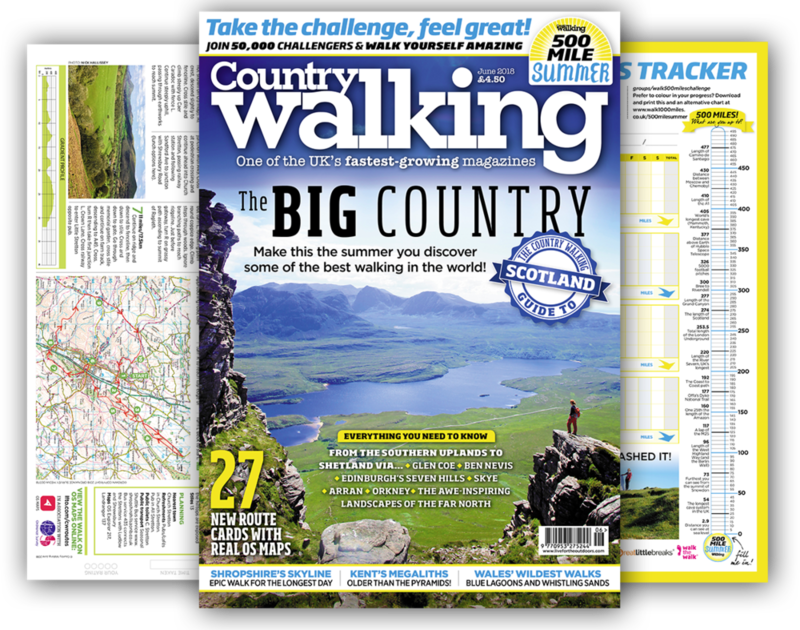 Plus features from Wales, Shropshire, Kent and 27 walks just right for summer days – to say we are thrilled with this issue would be an understatement!